Under GST, E Way Bill has become mandatory for the transportation of goods with a value of more than ₹ 50,000. On the other hand, it becomes helpful for the purpose of tracking the exact location of transport and goods across India. 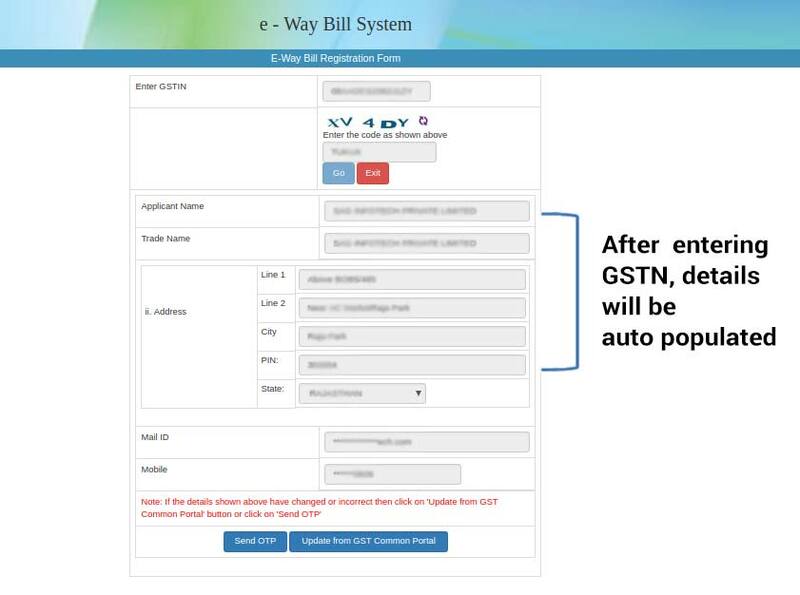 It is compulsory to get registered on the E Way Bill portal first to generate the GST E-Way Bill. 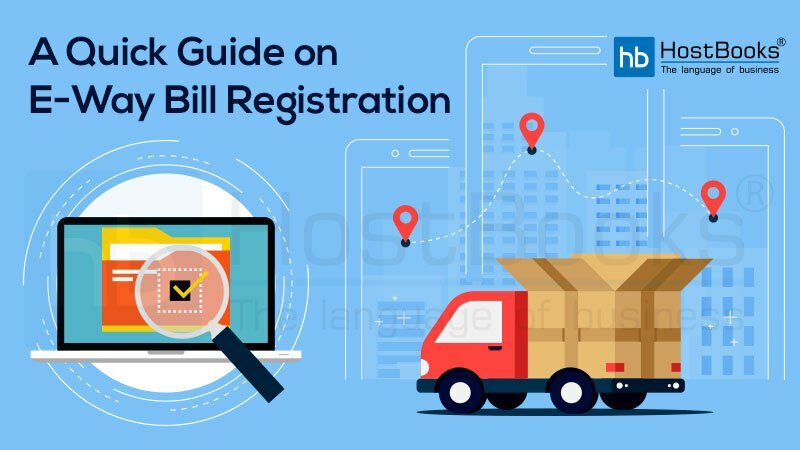 As a quick guide on E-Way Bill Registration procedure under GST, this blog post will be quite helpful. 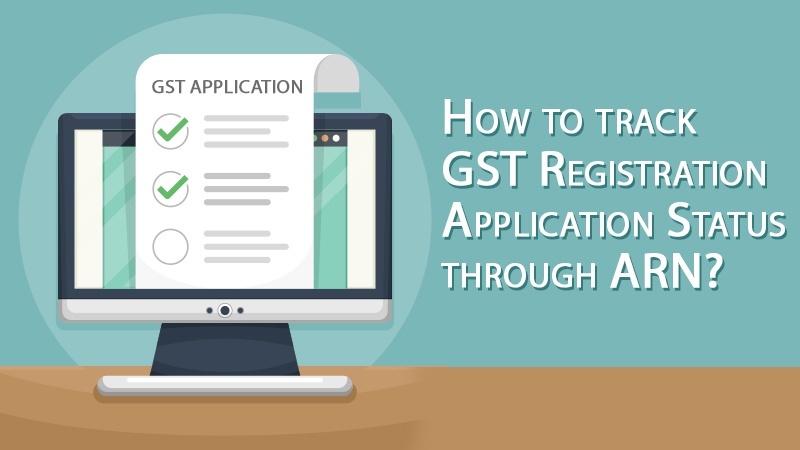 GST Registration Certificate (GSTIN) either of the Taxpayer or of the transporter. 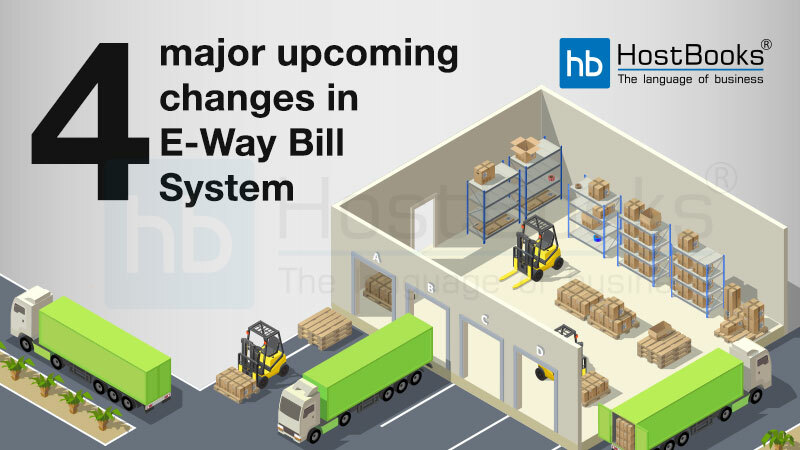 Now, we will know step-by step how e-Way Bill Registration is done by the above mentioned users / taxpayers. Step 4: Click on Send OTP (a unique OTP is send on the registered mobile number). Step 6: Enter the new User ID and Password of your personal choice. Once all the details are correctly filled, User ID and password will be created automatically. Step 4: ‘Enter the OTP’ (send on the registered Mobile Number) and the ‘Captcha Code’. If all the details are correctly filled, User ID and Password will be created automatically. Name of the state, Name (as per the PAN Card), Trade name (if any), PAN Number, Type of Enrolment, etc. N.B. – After PAN validation is done, if the system finds any error or mismatch and it will proceed after correction. Fill up all details at point 1 and 2. Choose the relevant type (e.g. – cold storage/warehouse/godown/ transport service/cold storage). Type the Complete Address entering all the important red marked fields. Contact information – Type the e-mail address, Landline number and Fax number (if any) B. – e-mail is required for authentication purpose only. Do mention the Nature of premises (any of these options) – The Building of operation is Own /leased /rented/ consent/ shared/ any other case. Step 6: (i) Tick out the Declaration, (ii) Enter the Aadhar Number and Name of the personnel and (iii) The Aadhar linked Mobile Number. Automatic message will appear on the screen ‘Your Aadhar has been successfully verified’. (ii) Do not forget to Tick out the Declaration. Step 11: Click on the Save button. A 15 digit transporter ID will be displayed automatically on the dash board. 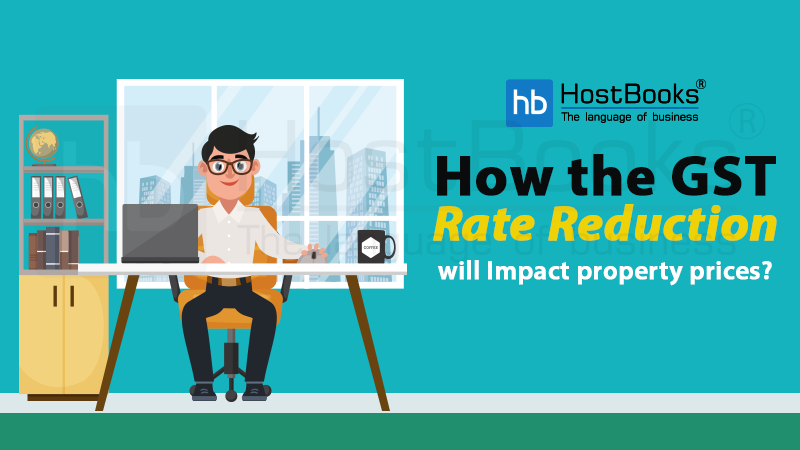 The unique number should be given to the clients for entering it on GST e Way Bill and enabling vehicle number to be added for the smooth movement of goods. 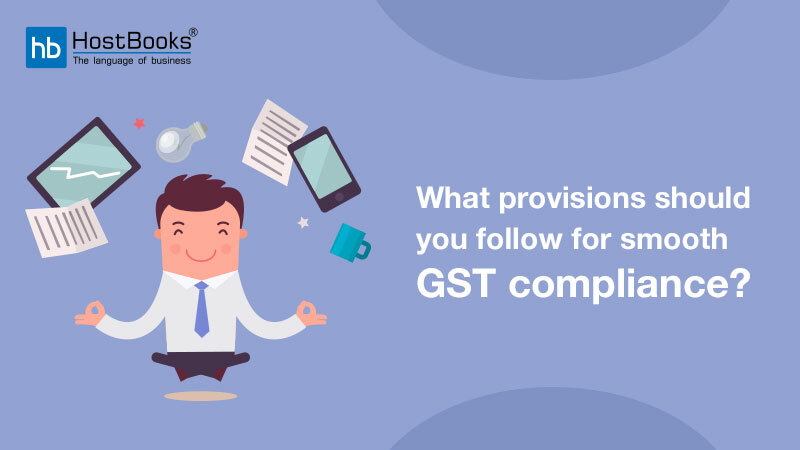 Obtaining an E-Way Bill through the right procedure under GST will facilitate a smoother movement of goods. 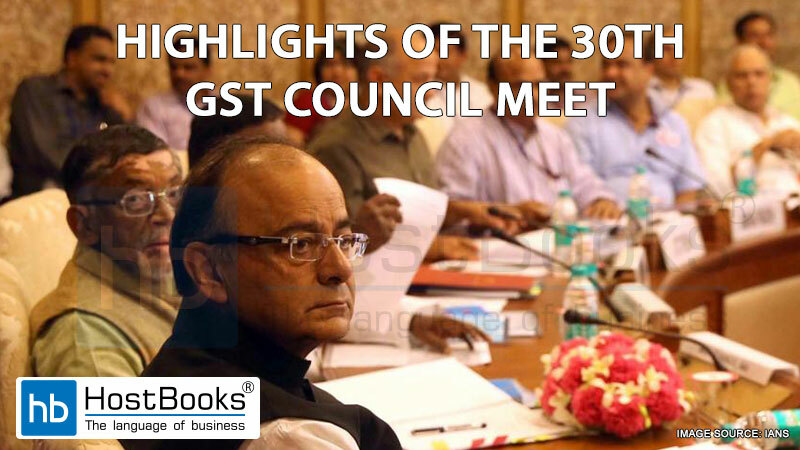 So, this guide will help you know about the essential things pertaining to the subject.